I joined a book group in my new neighborhood and needed a snack to bring to our first meeting. Not knowing anything about the ladies that would be attending I decided to play it safe and make a healthy treat for everyone to share. 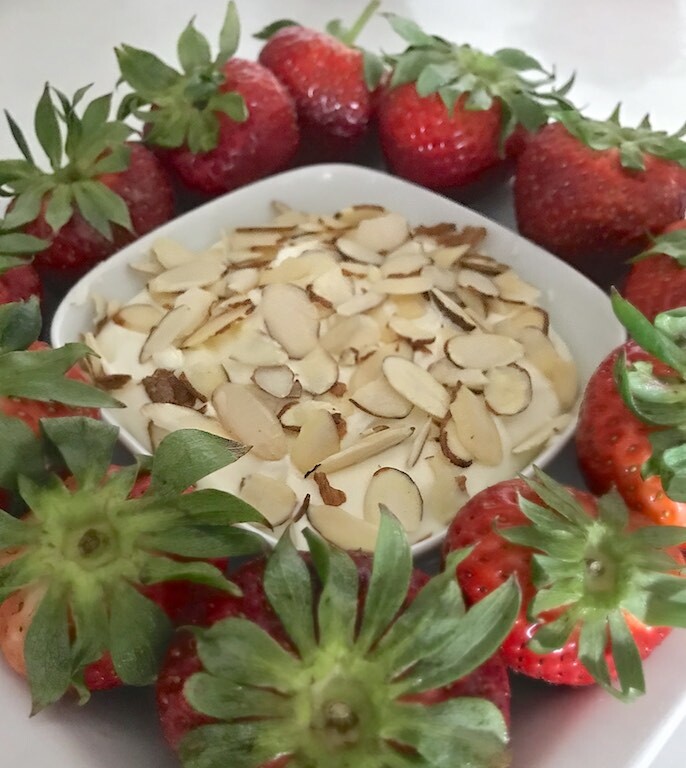 Fresh strawberries are a favorite of mine and paired with an almond cream cheese dip makes them that much better. Nielsen-Massey's New Pure Organic Almond Extract made this combination extra special. Crafted with certified organic ingredients and the same level of passion and attention to detail as all of their other products this extract is top notch. Mix on low speed until creamy. Top with sliced almonds and refrigerate until cold.